All exit polls on Thursday predicted a clean sweep for the BJP in the Assembly elections held in Gujarat and Himachal Pradesh. NEW DELHI: The BJP looks headed for facile victories in both Gujarat and Himachal Pradesh, exit polls by various media houses concluded unanimously after a rancorous campaign which saw sharp exchanges between Prime Minister Narendra Modi and Congress's president-elect Rahul Gandhi. Almost all exit polls predicted more than 100 seats for the BJP in Gujarat where the party has been ensconced in power for close to two decades now. 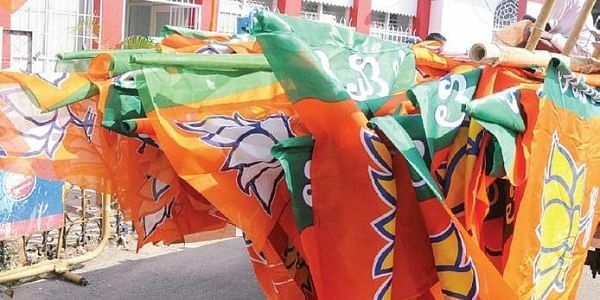 In Himachal Pradesh, where the electorate has chosen the Congress and BJP alternately in Assembly elections, the exit polls projected a clear majority for the saffron party, unseating the Congress. Today's Chanakya gave BJP 135 seats in Gujarat and predicted a measly 47 for the Congress, 14 less than the opposition party has in the current Assembly. It predicted a voteshare of 49 per cent for the BJP and 38 per cent for challenger Congress. A party or an alliance has to win at least 92 seats in the 182-member House to form government in Gujarat. In the 2012 Assembly polls, the BJP had won 115 seats, the Congress 61 and others six. The Times Now-VMR Exit poll predicted 113 seats for the BJP and 66 for the Congress, with the remaining going to others. The Republic-C Voter Exit Poll gave the BJP 108 seats and the Congress 74. The ABP-CSDS exit survey by ABP News predicted a BJP victory in 117 seats as against the Congress's 64. The NDTV said the BJP was likely to clinch 112 seats and the Congress 70. A survey by India Today's 'Aaj Tak' news channel also predicted that the BJP would retain power in the state, winning anywhere between 99 and 113 seats. Aaj Tak's was the lone survey that said the BJP's tally could slip under 100. It projected 62 to 82 seats for the Congress. India TV-VMR survey also forecast a BJP win, with the party likely to clinch anywhere between 108 and 118 seats. The Congress, it said, could win 61 to 71 seats. The survey said the BJP could garner 48 per cent of the votes polled, the Congress 41 and others 11 per cent. The News X Exit polls gave 110-120 seats to BJP and 65 to 75 seats to the Congress, leaving 2-4 seats for others, while the News Nation exit polls gave the BJP as many as 124-128 seats and the Congress between 52 to 56 seats and 1-3 for others. In Himachal Pradesh, the exit polls predicted the BJP's return to power with a comfortable majority. Today's Chanakya gave the BJP 55 seats and to the ruling Congress 13 seats, with the remaining to others. It also predicted a margin of plus/minus 7 seats. The Times Now-VMR and Zee News-Axis exit polls predicted identical tally of 51 seats for the BJP in the 68-member Assembly. A party needs 35 seats for a simple majority in the House. The Times Now-VMR poll gave 16 seats to the Congress and one to other, while the Zee News-Axis poll forecast 17 seats for the current ruling party. The Aaj Tak-Axis exit poll gave 47-55 seats to the saffron party, 13-20 to the Congress and 0-2 to others. The ABP News-CSDS exit poll predicted 38 seats for the BJP and 29 for the Congress, with one to others. Among other exit polls, the News X survey predicted 42-50 seats for the BJP and 18-24 for the Congress. Congress had returned to power in Himachal Pradesh in 2012 pocketing 36 seats, marginally more than the half-way mark, while the BJP secured 26. The others had bagged the remaining six. Defence Minister Nirmala Sitharaman claimed that the BJP was always confident of its victory and the exit polls have predicted the same. "We have been confident from the beginning that we will be able to work with the voters in Gujarat, we will be able to communicate with them. Our good work in the last several governments that we have had, has been repeatedly called by the voters themselves. We have more work to do towards development which is 'sab ka sath, sab ka vikas'," she said. The minister, a former BJP spokesperson said, Gujarat was a state which was very conscious about development. It was aware of what was happening around the globe and would want to be aligned with international financial markets, she said. Sitharaman said the state valued the importance of peace and harmony, and of good governance. "I think our plank that only development can bring in equality-based development has been acceptable for the people. And that’s what exit polls show. We will wait for the 18th, we are confident we will make it," she said. The Congress was, however, skeptical about the predictions, with party spokesperson Shobha Oza insisting exit polls have proved wrong in elections before, and claiming it will emerge victorious. "I don't know how much you trust the exit polls. We have seen exit polls in Bihar, Tamil Nadu, Punjab. All of them proved to be wrong. So, how much can one trust the exit polls. "We will wait for the 18th for the real results. Let's not take these exit polls too seriously. We have seen them go wrong in many states in the past," Oza said, adding "definitely, we are winning in Gujarat." The BJP was confident about a landslide victory. "We will register landslide victory. In UP, exit polls had said the BJP would win between 164 and 185 seats (out of 403), but we bagged 325. Exit polls are not exact polls. We are going to register landslide victory," he asserted.